So far VUGTtYKkQE4ebbju has created 9 blog entries. Coming soon, thanks for checking this out! We need your help. Please consider sharing a few helpful suggestions on where others might go to learn more about riding or the many riding facilities we have around Ladner. You can reach us at activities@athomeinladner.ca Thank you, we look forward to hearing from you! We need your help. Please consider sharing a few helpful suggestions on where others might go to learn more or share a common a passion and knowledge for classic cars. You can reach us at activities@athomeinladner.ca Thank you, we look forward to hearing from you! We need your help. Please consider sharing a few helpful thoughts on where others might participate in or learn about boating in the waters of Ladner. You can reach us at activities@athomeinladner.ca Thank you, we look forward to hearing from you! We need your help. Please consider sharing a few helpful suggestions of Ladner heritage sites to visit or perhaps interesting pieces to read. You can reach us at activities@athomeinladner.ca Thank you, we look forward to hearing from you! We need your help. Please consider sharing a few helpful suggestions on where others might go to enjoy some of the many activities and investments prepared by our farming community. You can reach us at activities@athomeinladner.ca Thank you, we look forward to hearing from you! We need your help. 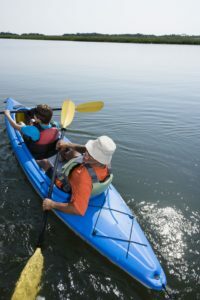 Please consider sharing a few helpful thoughts on where others might participate in or learn more about kayaking and canoeing in the waters around Ladner. You can reach us at activities@athomeinladner.ca Thank you, we look forward to hearing from you! We need your help. Please consider sharing a few helpful thoughts on where others might participate in or learn about birding in and around Ladner. You can reach us at activities@athomeinladner.ca Thank you, we look forward to hearing from you! We need your help. Please consider sharing a few helpful thoughts on how others might make the most out of cycling in and around Ladner. You can reach us at activities@athomeinladner.ca Thank you, we look forward to hearing from you!